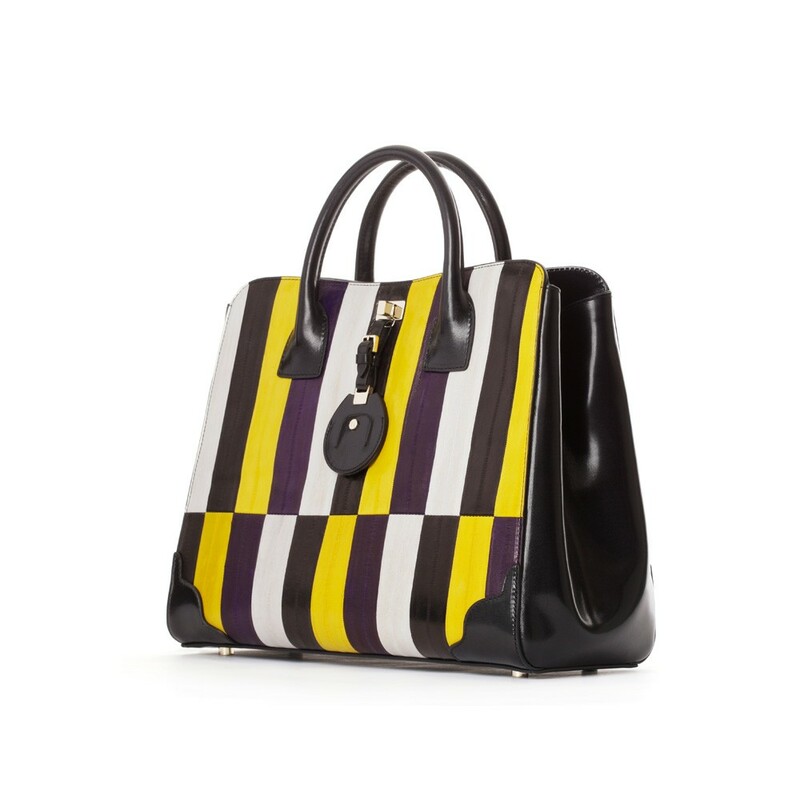 Jason Wu Jourdan Striped Tote from the Pre-Fall 2013 collection manages to be quite spirited and fun despite the very structured look. It's the yellow, of course, and the stripes. It's made of leather, including eel. $2195 and it's yours. Or mine (available from Bergdorf, Saks, and the other usual suspects). And, it is made in...? China? Look what color and some creative detailing can do for what would have been a non-statement piece.